Dr. Avula Damodaram took over as Vice-Chancellor of Sri Venkateswara University on 31st October 2015. Dr. Damodaram joined as faculty of Computer Science & Engineering at JNTU, Hyderabad in the year 1989. In 2 ½ decades of dedicated service, Dr. Damodaram performed distinguished services for the University, as a Professor, Head of the Department, Vice Principal, Director of UGC-Academic Staff College, Director School of Continuing & Distance Education, Director, University Academic Audit Cell, and Director, Academic & Planning. Dr. Daramodaram was recently appointed as “Acting Director General” for International Institute of Digital Technologies by the Hon’ble Chief Minister of Andhra Pradesh. Dr. Damodaram has successfully guided 34 Ph.Ds. and 3 MS Scholars apart from a myriad of M. Tech projects. He is currently guiding 6 scholars for Ph.D. Dr. Damodaram is on the editorial board of 2 International Journals and a number of course materials. He was also the Chairman, Board of Studies for Computer Science & Engineering and Information Technology from 26th September 2012 to 10th October 2014. He was also acted as Panelist for the Andhra Pradesh Session “Transforming Andhra Pradesh into a Global Education and Knowledge Hub” organized by the 12th FICCI Higher Education Summit, New Delhi. 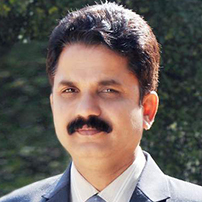 Dr. Damodaram has been a UGC nominee for a number of expert and advisory committees of various Indian Universities. He has been associated with the conduct of many entrance tests in the state, such as, ECET and ICET. Dr. Damodaram has been a Life Member, Vice-President, Director and President of a number of core committees spread all over the country. He has served the interests of the Universities and University teachers at the University, State and National levels. He has organized one International conference, 30 Workshops, Short Term Courses and other Refresher and Orientation programmes. Dr. Damodaram has published 96 well-researched papers in national and international journals. He has also presented 84 papers at different National and International Conferences at the Universities of United States of America, Austria, the United Kingdom and other places. On the basis of his scholarly and administrative achievements and other multifarious services, Dr. Damodaram was honoured with “MILLENIUM PLAQUES OF HONOUR AWARD” from the Hon’ble Prime Minister of India on the eve of 104th Indian Science Congress. Dr. Damodaram awarded with “HIGHER EDUCATION LEADERSHIP AWARD” by Elets World Education Summit, New Delhi. Dr. Damodaram Awarded with “AMITY ACADEMIC EXCELLENCE AWARD” during 18thBiggest International World Summit INBUSH-ERA on 7th February 2018 by Amity Education Group India, Noida. Dr. Damodaram awarded with “TECHNICAL EDUCATION AWARD” during Achievers Day celebrations by Arunai Engineering College. Dr. Damodaram Awarded with “CHITTOOR DISTRICT CENTENARY VIDYA SIROMANI AWARD – 2017” by Academy of Grassroots Studies and Research of India (AGRASRI)”. Dr. Damodaram was elected as “FELLOW OF ANDHRA PRADESH AKADEMI OF SCIENCES – 2016”, Dr. Damodaram was honoured with the award of “EMINENT ENGINEER OF THE YEAR – 2016” by the Institution of Engineers, India, Dr. Damodaram received “STATE BEST TEACHER AWARD” from the Government of Andhra Pradesh, Department of Higher Education, Hyderabad, in September 2013. He was also recipient of “DISTINGUISHED ACADEMICIAN AWARD” by Pentagram Research Centre, India, in January 2010.